Plus Size Kitten: Metrojaya Warehouse Sales & Branded Fragrance & Cosmetics Warehouse Sales! 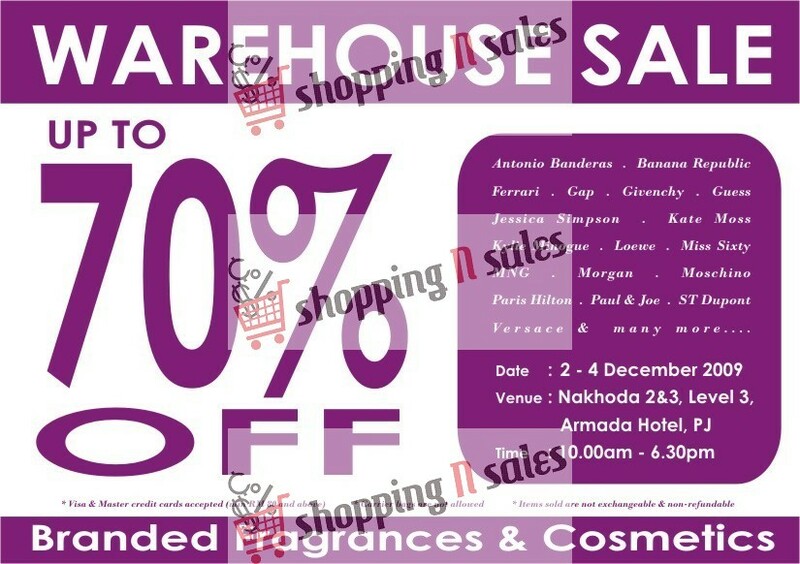 Metrojaya Warehouse Sales & Branded Fragrance & Cosmetics Warehouse Sales! TWO HUGE Warehouse Sales next week! which one will you go to? Time for Christmas shopping coz it's up to 70% off! I won't be going coz it's on a working day and I already have done my shopping few months ago! lol. Enjoy! another not for me warehouse sale.. anyway thanks for putting up here..
the metro sale a bit far for me.. but goin to the armada one..